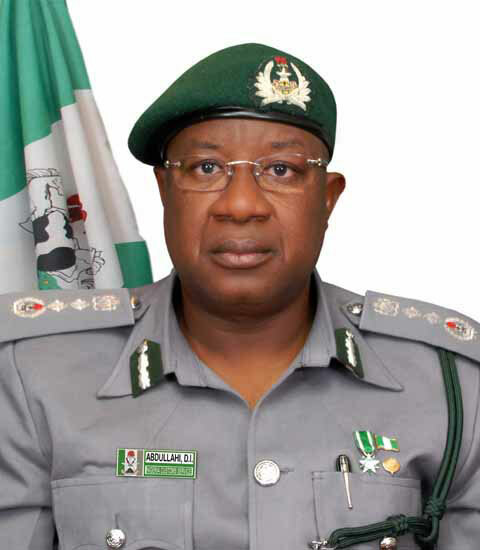 In strict adherence to the Comptroller General of Customs zero tolerance for smuggling, the Seme Command of the Nigeria Customs Service last weekend foiled an attempt by some smugglers to smuggle rice through the water into the country. This was contained in a press release issued by the Command’s Public Relations Officer, Ernest Olottah to journalists via e-mail, a copy of which was obtained by Primetime Reporters. Rice worth #7.5 Million according to Olottah together with boat with outboard engine and vehicles for conveyance were recovered from the smugglers during the operation. The release which read in part said,” with a thought that officers and men of the command of the Nigeria Customs Service have relaxed their increased surveillance that came with the yuletide period, an attempt by some smugglers to unlawfully bring in rice through the waters was foiled during the weekend”. He disclosed that the command armed with the necessary intelligence and available logistics, in an operation led by a Superintendent of Customs, Aina Olufemi tracked the movement of the Smugglers to where their boat berthed and discharged. He further said that the patrol team having trail the smugglers to Isalu waterside in Badagry where the smuggled rice was discharged, swooped on them while loading the products and arrested one of the suspects who is helping them with investigations that will lead to the arrest of the arrowhead and others involved in the economic sabotage. According to him, the outboard engine of the boat and three vehicles namely; 1 Volkswagen, 1 Iveco and 1 Ford bus laddened with rice, bales of fairly used clothes and other smuggled items had been transferred to the government warehouse. He maintained that the recent moves by the smugglers to test the vigilance of the men of the command had not only been foiled as it also sent a signal to others at large that round the clock surveillance of the command remained far from being relaxed. Olottah hinted that the Customs Area Controller of the Command, Comptroller Willy Egbudin has insisted that all vehicular and foot patrols in the hinterland be sustained with increased intelligence to monitor and defy the antics of the smugglers along the borderline even as he added that the eagle eye officers were leaving no stone unturned including regularly checking the jetties and waterfronts as in the recent case to curb the menace of smugglers who were bent on sabotaging the nation and the economy.